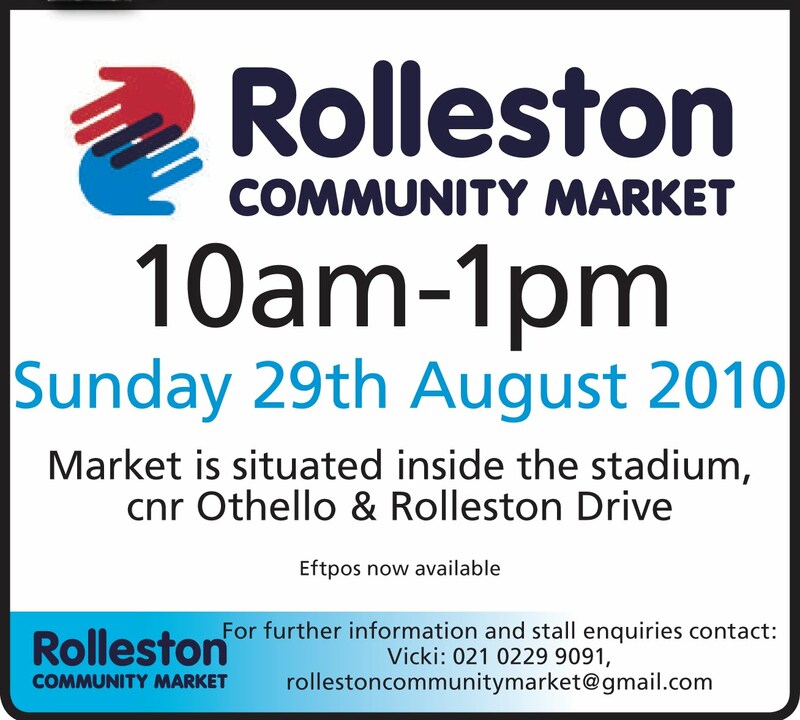 Rolleston Community Market turns one this Sunday, and there will be plenty of ways to celebrate. There will be balloons and face painting for the kids, a $2 raffle with prizes drawn every half hour and 200 cupcakes to be given away. 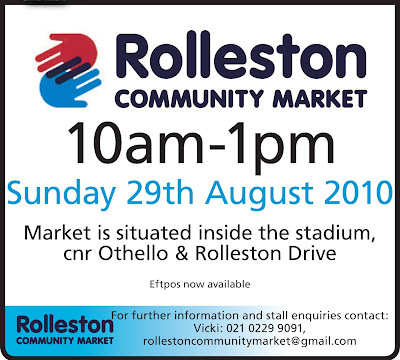 This is in addition to the usual array of stalls selling fresh produce and handmade goods. You'll find a selection of organic fruit, cheese, bread, meats, fresh flowers, candles, clothing, children's toys, jewellery and art. There will also be hot food, coffee and a bouncy castle. So if you've been thinking of coming along to check it out, Sunday would be the perfect day! I'll have my full range of candles, including the teacup candles and soy tins, and some new starfish rattles. Don't forget to bring along your old candles to recycle for a 10% discount, or take advantage of my August special, and bring along an empty Rose in Thorns candle tin for a 20% off your purchase.